Suganti Bai of Bebe village in Jashpur district of Chhattisgarh is happy to be selected for a housekeeping job recently. She comes from a family of seven. She has two sisters and two brothers. She always had a dream of being independent and contributing to the family. The Livelihood College run by the State Skill Development authority has played a very important role in her getting the job. Suganti came to know about various courses offered by the Livelihood College Jashpur and thought it could be a means to fulfil her dreams. After going through various courses she found the course on housekeeping most suitable for her. “I liked the Housekeeping course because I like cleaning and tidying my house. The course matched my interests so I took it. They taught us how to professionally manage housekeeping work and how to talk to people. We were trained on every aspect of housekeeping as a profession. We are now equipped with the proper training to manage housekeeping jobs.” She says. 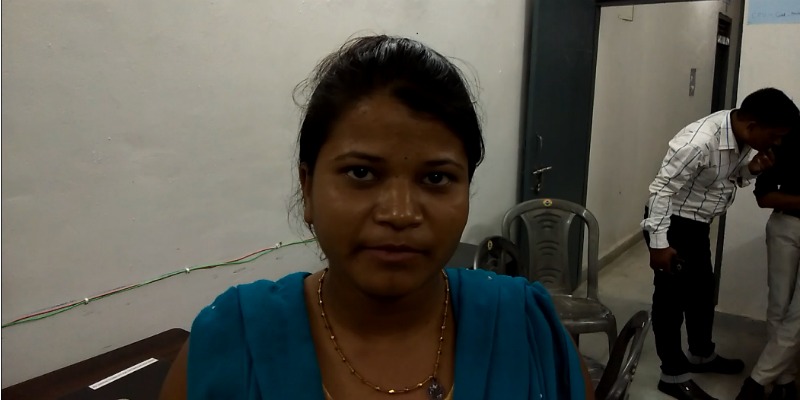 The training that Suganti got at the Livelihood College has helped her get the dream job of hers. “It would have been impossible for me to get this job without the training that I got at the Livelihood College. I am glad that I had taken up this course. Now I can be independent. I can also contribute to the family instead of taking money from them.” She says. The Housekeeping course is one of the most popular courses available at the Livelihood College Jashpur. Every district of Chhattisgarh has a Livelihood College where students get training in skills suitable for various industries. The courses are designed keeping in mind the needs of the particular industries and the youths are given rigorous professional training in order to make them eligible to get jobs in the industry. The Livelihood Colleges offer accommodation and free study materials to the students. Students from all over Chhattisgarh come to the various campuses of the Livelihood Colleges. These students are also given placement assistance after completion of their courses. The Livelihood Colleges in Chhattisgarh are changing the lives of many youths in the state. It is a very significant initiative in the direction of skill development. The Youths of Chhattisgarh have got a ray of hope for their futures in the form of Livelihood Colleges. The Livelihood College at Jashpur has been one of the most successful campuses in the entire state. Suganti Bai is an example of how youths of Chhattisgarh are being transformed. She believes that others youths, especially the girls should come out to pursue their dreams and the Livelihood College can be a good options for them. The college opens up new doors of opportunities for the youths. The government of India has put a lot of emphasis on skill development in order to turn India into a global supplier of skilled manpower. The Livelihood Colleges set up by the Chhattisgarh government in the state are following this vision and turning it into a reality.